It’s never been easier to be a treasure hunter! Our Christmas Catalog is packed with hundreds of gift ideas for less than $10. Here’s a quick look at some of the great values Lakeside is offering this season, including winter fashion accessories, unique kitchenware, fun gifts and more. When it’s cold outside, you can beat the chill without sacrificing style! 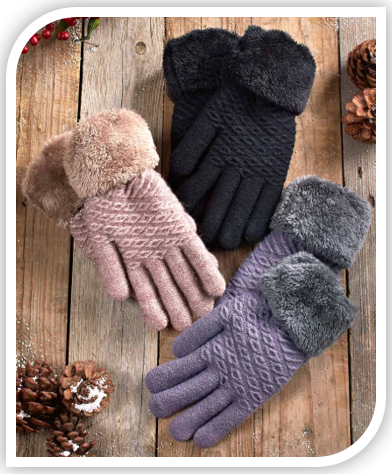 These gloves have faux fur cuffs for a sophisticated look, but they’re blissfully warm. You’ll look chic and feel cozy wherever you go. – Faux fur cuffs have an upscale look. – The interior lining is velvety soft. – Easy machine wash and dry. Your pies will impress everyone when you use one of these handy pie tools. Stamp a braided pattern on your crust with the Pastry Wheel Decorator. Keep that crust golden brown by using the Adjustable Pie Shield. 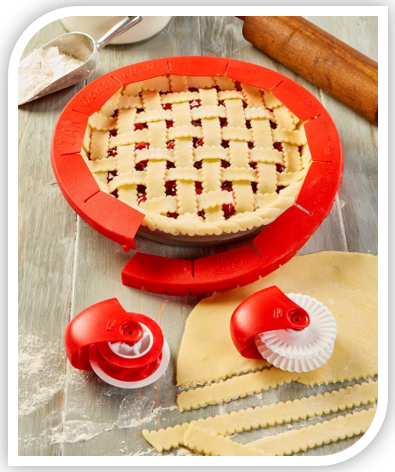 Or make lattice pies with the Pastry Wheel Cutter, which cuts perfectly-even strips of dough. – Great for baking pies for the holidays…or anytime! – Easy-to-use baking tools make you look like a pro. – Everything is dishwasher safe for easy clean-up. Any Disney or Mickey Mouse fan will smile when you give them this mug. 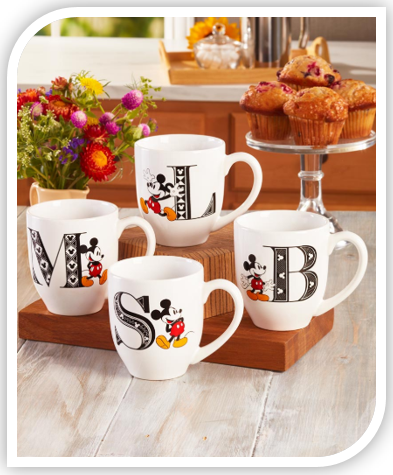 Besides featuring their monogram, it also has lively images of Mickey on the front and back. Perfect for coffee, tea or hot cocoa…any time of year. – The darling Disney artwork. This lovely necklace becomes a diffuser when you add a few drops of essential oil, releasing a soothing, long-lasting fragrance. 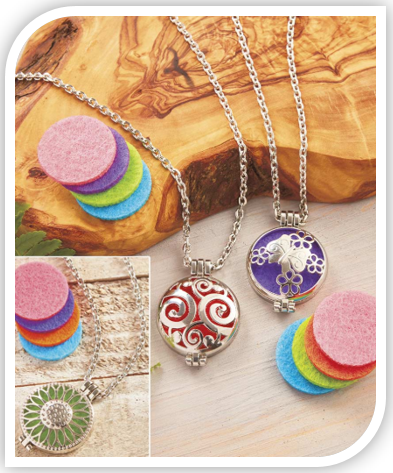 To accent your outfit, five colorful felt inserts come with the necklace. Slip one inside the pendant, and the color will show through the open design. – It’s an ingenious way to take fragrance on the go. – You can change the look of the necklace every day. – Oils can also be used in vaporizer, oil burner or diffuser. 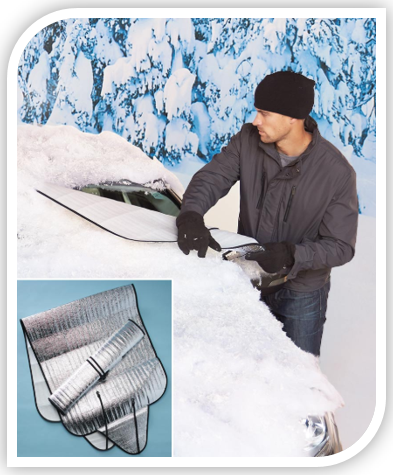 Clearing snow and ice from your car’s windshield just got easier! Save yourself time and hassle with these clever covers. They’re easy to position and easy to remove. Better yet, they’ll keep snow and ice from sticking to your windshield—just lift off the cover and you’re ready to go. Plus, in warm weather, they’ll reflect sun to keep your car cooler. – Removes snow quickly, making winter less of a hassle. – In summer, they’ll keep your car’s interior cooler. – Great value–you get two windshield covers. Make it easier to find favorite recipes with the Cookbook Storage Bin. It’s roomy, has a lined interior and features two sturdy handles. And with cute illustrations of kitchen utensils on the front, it will look great on your countertop, pantry, kitchen shelf, or in a glass cabinet. 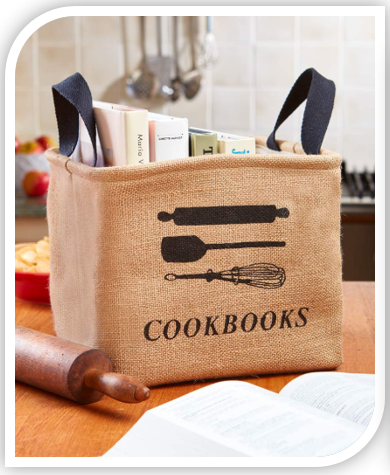 – Keeps your cookbooks neatly organized. – Neutral color blends in with any decor. – Tote handles make it easy to carry. This roomy tote has so many uses, you’ll wonder how you got along without it. 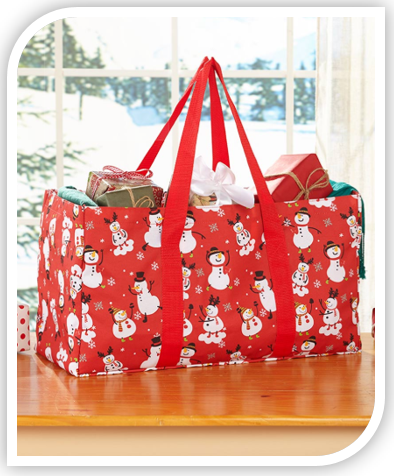 Store holiday decorations in it, organize gift wrapping supplies, or use it to deliver presents. Its seasonal design will get you in the holiday spirit, too. – Sturdy tote holds up season after season. – Festive choice of patterns–get one of each! – Versatile shoulder straps for easy carrying. These sneakers are so comfortable, you’ll want to wear them every day! 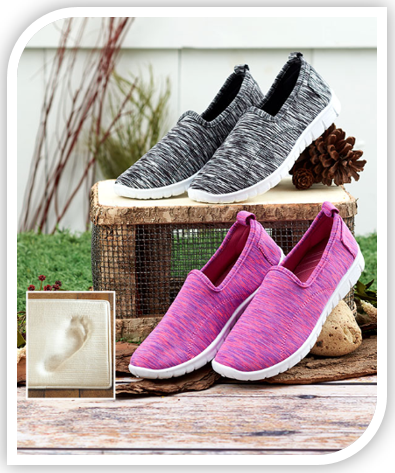 The cushioning memory foam feels like a pillow under your feet, and they’re as light as air. Whatever the day brings, your feet will thank you. – Lightweight and kind to your feet. – Great everyday walking shoe. When you need a roomy purse that isn’t bulky, the sleek Harlow bag fits the bill. To keep you organized, it features 6 pockets, a fully-lined interior and an adjustable crossbody strap. As a bonus, it’s soft and stylish. – Compact look that offers ample storage. – Available in eye-catching or neutral colors. 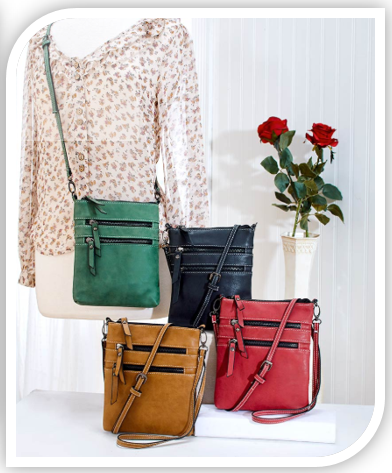 – Adjustable crossbody strap fits you perfectly. Get the most out of your new pressure cooker. 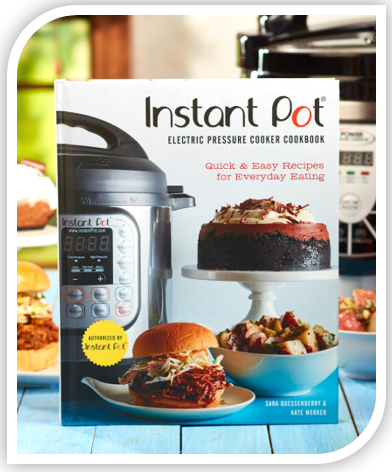 This cookbook clearly explains how to use all the Instant Pot features. It includes over 75 delicious, easy-to-make recipes, including fancy French toast, gourmet tacos, savory Beef Ragu and much more. Enjoy! – Tempting color photos throughout. – Quick, easy recipes for busy families. This is just a sampling of great values from Lakeside. For less than $10, you can find wonderful gifts or treat yourself to something special. You’ll save money, and being a smart shopper will make your holidays even brighter! Check out our large selection of Deals Under $10, or start exploring our Christmas Catalog, featuring hundreds of gift ideas for less than $10. Hi Linda- We are truly sorry to hear that the Grinch socks are no longer available. Unfortunately, we do not have additional inventory information at this time.